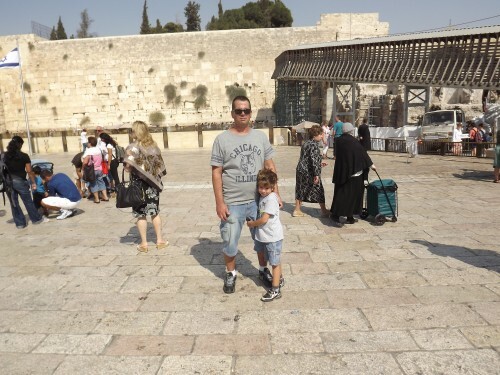 My name is Gil Tain I'm 42 years old from Israel,I joined WA 5 years ago but I didn't do anything with it.Now I'm trying to do my best,I hope to be a success like other members here.I'll be glad to get some new friends here. Since I wrote it I had some success but not as much as I wanted. But i don't quit because success is around the corner for all of us here! Just keep on going it will happen some day!!! Congrats on making the decision to go Premium. This has always been the best option at Wealthy Affiliate. I wish you much success and all the best. Thank you for following. Right back at you. I hope this time around you'll achieve the success you want! My best wishes! Hi guy0404. Nice to meet you. I will be following you back . Wish you lots of success. Thank you for following me. Interesting, how we tend to come back to WA. I was originally here the same time as you, didn't make any real progress and left. Now, like you, I am back and won't quit. I am following you back and wish you all the best. Hello Gil, thank you for following, all the best! Hi Gil, thank you so much for the follow. I will be following you back. I wish success and financial freedom here at WA and yes, you are right - success is just around the corner for all of us who work hard and help others make it too. Thank you for the follow I'm now returning the favorand following you. Good Luck and remember" even when opportunity knocks a person still have to get off their seat and open the door"
Thank you for the follow. I've been away taking care of family issues. Getting back into WA. Better late than never. We keep moving forward. Hi Gil and thank you for choosing me and inviting me in to your WA family network. I feel very honoured to follow you back and please check out my training below. Shalom Gil, thanks for the follow. Where do you live? I was in Rehovot back 2006 for three months. Nice country. Thanks for following, following back. Good luck. Susan. Good Luck to you guy and blessings! Hi Gil, thanks for the follow. Hey, it seems like you're doing pretty good; you've got three sites. Wishing you every success and returning the follow. Hi Gil, thanks for adding me to your follow list. I wish you much success in your internet business venture. Hello Gil, thanks for the follow. Wishing you much success! Thanks for the follow. I wish you all the best here in WA. Hello Gil and Best Wishes to you! Hi Guy thanks for following it is my pleasure to welcome you into my network and wish you all the best in your future ventures. Hi Gil, thanks for the follow. I wish you good luck here! Shalom Gil, thank you for adding me to your network. I gladly return the favor. Your son is a handsome boy. With my best wishes, Martha. Thank you for the follow. May God bless you and Israel. All the best with your progress. Glad to see you're finally actually doing something with this excellent community! Thanks for the liked comment Guy0404. Thanks for the follow Guy0404. Thanks Guy0404 for the like comment. Welcome to WA. Congratulations on upgrading to Premium. This is the best place to build and grow a successful online business. All the best to you. Thanks for the follow, Gil! All the best! Thank you for following. Great success back you. Thanks for the follow. I like your attitude. Just keep working on it and it WILL happen. Thanks for the follow. Like you persistence to keep moving forward. Something that I try to keep doing also. Best wishes to you. Thank you for the follow. Wish you lots of success and hope things are going well for you! Thanks for the follow. Here to help if you need it. G'day Gil thanks for the follow and Welcome back to WA and hope you have success this time around. Hi Gil, Welcome back to WA. Thanks for following, followed back. Good luck to you and your success. Hello, Gil, best of luck to you. Thanks for following. Wow, 5 years and you're back in the game. I really hope you find success this time round. Hi Gil, thanks for the follow and welcome back to WA. I hope that this second time commitment will bring you more success. Best wishes!!! Shalom, Gil. Thanks for the follow. I'll return the follow. My dream is to someday at least visit Israel. When I was adopted as a baby, the place the adoption went through told my adoptive Mom that both my biological parents were Jewish. I have been trying to locate birth parents, but no success there yet. Hi there thanks for the add. Just never quit but quickly pick up the pace because I will say time management is an art! Hi Gil thanks for the follow. Cute little one. I am sure you will do good when it is time, I am so happy to meet you.. Thanks for following. It takes a lot of work, but depends what you really want. I never been at a better spot when it comes to work. Hi Gil, Pleased to meet you and thanks for the follow. I see you have are few sites going I hope the are going well. It's good to see you active again and hope to catch you up around WA. Hi Gil, nice to meet you, thanks for the follow! Thanks for following Gil - there are some very successful Internet marketers from your country so keep persevering and I am sure you will join them. Hey mate good to meet you. Israel is very much on my bucket list. Best of Luck. Thanks for the follow and good luck on your WA journey. Follow the courses, do the tasks and ask questions. Thank you for the follow Gil and the best to you in all you do.. Thanks for the follow Gil. HI Guy, thanks for the follow and good on you, deciding to come back and determined to succeed. All the best. Welcome back, this proves to me that WA is the community to succeed, maybe you weren't ready then? Thats ok, dont look back look forward, Thanks for the follow, and I'll be sure to watch your success! Hi Gil, thanks forthe connection. Welcome back into the fold. May you have much success to this time around. Hello Guy0404.. thanks for the follow. Thanks for the follow! "Welcome" back. I hope this time around you find success with the help of WA! Hi Gil thanks for the follow appreciated. Hope all is well at home. Stay positive with yourself yes there will be times when you don't feel that great but but keeping to your plan to will be able to go forward. Look at the profile picture you have maybe this can be your motivation to succeed. Take care and be well. stay motivated Gil and thanks for the follow. If you have any questions please don't hesitate to ask. Hi. Thanks for following. Wish you success here at WA. Thanks for following me - look forward to following you back. All the best to you! Thanks for following me Gil, hope you have a great time here now. Thank you for the follow Gil. Welcome back to WA! I wish you the best of luck with your WA career. Hey Gil welcome back to WA! Thank you for the follow. I wish you the best of luck in your WA career. Hi Gil! Welcome back to your family at WA! I only wish that I could have found WA when you did! However; we are all here now and helping each other reach our goals and dreams! The courses are world class and the community is full of support, care and guidance. Be patient and stay with the courses and within a month you will have a viable website up and running and money starting to come in! I didn't believe it but it happened to me! If it can happen to me, it can happen to you! You've got to believe! May I wish for you success and that your dreams all come true! Thanks for the follow, Gil...I absolutely know you will be a huge success this time around....you are committed to go the distance to get there. Best of luck to you...I'll be watching your success here at WA! Looks like you have a very good body of work going on right now. Thanks for the follow, and I wish you much success. Thank you Gil, for joining my circle of friends! Hello Gil, Thank you for following and I'll add you right back. Looks like you had already developed several niches -- did you get any results? Hello Gil, Thanks for the follow. Hey, if at first you don't succeed....keep trying. Like your blogs, am following you back. Thanks for the follow and good luck!!! Hi Gil, thanks for the follow. Now is a good time as ever to have another go at it. to your success, cheers! Guy, thanks for following. I tried a couple years ago too, but this time is going to work for both of us! Hi Gil ! Thanks for the follow . Good luck and best wishes for your success . Hi Gil, Looking forward to your success! Hi and thanks for the follow. Wishing you much success in Israel! Hi, Gil. Thank you for the follow. I wish you a lot of success. Gil. Thanks for the follow. I left a comment on your website. You will find a lot of support here at WA. When I joined, I wanted to visit member websites to get ideas. You can do that by clicking on their icon (picture) to access their profile page. Once there, you will see their websites listed on the right side. Let us know if you need anything. Our best to you. Hi Gil, many thanks for the follow and welcome back , im sure you are going to be a huge success.........the best of luck to you ! Hello Gil Tain, Thank you for the follow. Good luck with WA. Toda Raba Gil for the follow! Maneeshma? Glad to see you back and working it. WA has everything you need to succeed! Wife is from Haifa....will follow you as well! Thank you for the follow Gil. I look forward to getting to know you and wish you well in meeting your goals. Thanks for the follow, Gil! And welcome back to WA. I wish you the very best in your business venture here. Thanks for the follow. If you have a set goal and you move towards it everyday nothing will hold you back but yourself. The community here is awesome and full of positive people. Best wishes my friend. Great! Best of luck this time around!! Thanks for following. Hi Gil nice to see you back on WA. I am quite new here but hope we can all achieve our goals :0) good luck! Welcome back, and thank you for following. Hi there Gil and welcome to WA. Thanks heaps for the follow and if I can help you in any way I'd be happy to oblige. Cheers! Thank you Gil, very glad to be in your circle. Thank you for the follow. I wish you the best. Hi Gil .Thank you for follow me I wish you the best of luck. Hi Gil, my name is Tom, and thanks for the "FOLLOW me", you have come to the right place, and like you wish to learn more and become that person who can help and share valuable knowledge. Everyone of us have a unique talent and want to help as many others enjoy working from home in a profitable "Home Based" business. Riches, won't make you happy, but having enough is all I need, if I get more! the more I can help in the future. Hey! thanks for the "Follow" I look forward to corresponding with you. WA is the right place to be, and you will get all the support from Kyle and Carson. Just joined as a premuim member on 11th October 2013 and you are welcomed to see my page and I also look forward to engage with you also. When I get a chance this week-end, I would love to have a look at some of your websites to give me an idea of how to do mine. and I hope I do not have to make so many websites to make any money! Just saying! Curious! Hello Gil, Welcome back to WA. Thanks for the follow. Wishing you much success. I was like you in that I was here earlier and let because I didn't make any money because I didn't take action. They have even more training now, so I am trying to take action now. Hi Gil, welcome back to WA and it is very nice to meet you. Hi Gil, nice to meet you and welcome back. Thanks for connecting with me in this wonderful community. All the best. Hello Gil, thanks for the follow, you will make it this time at WA, it is a remarkable place, wishing you all the best. Hi Gil, thanks for following. Here's hoping you make a go of it this second time around. Here's wishing you success! Welcome back and thanks for the follow. Best of luck to you this time around. Hi thanks for the following. Thanks for the follow. Wish you more success with your second try. thanks for the following. I am glad you decided to dig in. I sort of did the same thing, but only was away for 6 weeks! Welcome back to WA Gil. I sincerely wish you much success. I am a newbie myself, but eventually see myself in the top 100 and hope to see you there too. Thanks for the follow. hai Gil, thanx for the follow. Good luck with everything. Hi Gil, thanks for the follow. I'm pretty new in WA myself but if I can help in any way, let me know. Best of luck! Hello Gil Welcome to WA, and thanks for the follow. If there is anything I can do to help you, just let me know. Hi Gil, thank you for following me. Wishing you success with your second time around here. All the best. Lis. Hi Gil! Thanks for the follow and may you be successful here. If you have been inactive until now, take some action ad do the training and I am sure you will benefit! All the best! Hi Gil, thank you for the follow. Best of luck with WA. 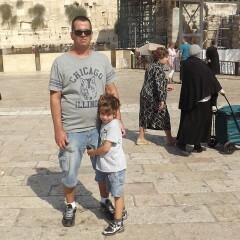 Hello Gil, it is great to know you, and the little son there, with you in the picture. Thank you very much for the follow. I wish you and your family a lot of success, and we will keep in touch. Your continued dedication is great. Thanks for the following back,best of luck to you and yours. Aloha Gil, Thank you for the follow! I respect your honesty and determination to succeed here at WA... What I like most is the fact your Did Not QUIT!....but instead continuing your journey....You will make it! Good Luck and Great Success to your throughout your journey..
Hi, Gil, Thanks for following me. I too have been away from WA and have been a longtime member. However, as I have returned I have found it is better than ever. I will look forward to following your success! If I can be of help please contact me. Thanks for the follow! You have been busy. Like your websites. Hi Gil, Thanks for the follow and welcome back to Wealthy Affiliate and wishing you good fortune and success with you marketing. Hi Gil. Thanks for adding me to your network. Its an honor. Hello Gil Tain, thanks for the follow, I'm curious what made you re-look at WA after 2 years? Hi Gil and thanks for the follow. Once you get back into WA you will find lots of friends here. I have only been here just over 3 months and I have made a number of friends. The thing that amazes me about all the people here, is how they are willing to give up precious time to help others. Good luck for the future, Garth. Thanks for the follow!!! I hope you can reach your goals here in WA!! Thanks for following. I love meeting people from all over the world. Keep in touch. Thanks for following me. I hope your weekend is going well. Tks for the follow. My wife who consider herself a homechef would be delighted to see your video on knife sharpening. It is interesting .Kindly keep on sharing your experiences on chef knives so that people who love cooking may gain thru your site one or two facebook likes may change your preception about IM and you will rigorously work for your future. Tks a lot.